Siem Reap, Cambodia and Bangkok, Thailand are probably the two most visited and most interesting cities in Indo-China Peninsula , and given enough days, visiting these two cities in one vacation is possible since they are just around 5-6 hours direct travel ( 400 kms.) on lean days (not much immigration cue) , and border crossing is relatively easy. There are several options when travelling to Bangkok from Siem Reap, depending on ones preferred time schedule and budget. Below are some of the usual options done by backpackers . Hope this would help. The cheapest way is to have several transfers (Bus+Tuktuk+Train) which only costs around 16 USD , exclusive of Visas if required. 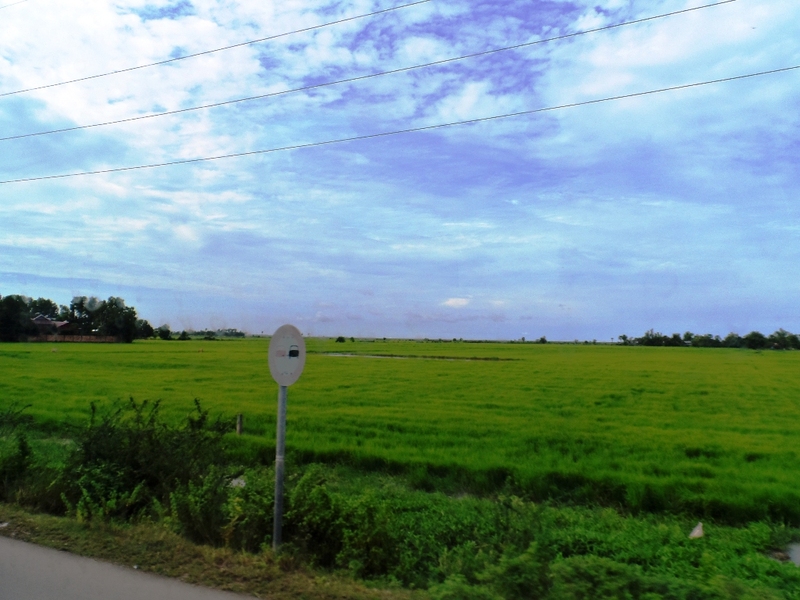 See http://www.seat61.com/Cambodia.htm#Siem Reap for detailed Information. Speedboats can also take you from one city to another for 35 to 40 USD, which is probably the most scenic and adventurous option that makes it worth the pay. The easiest way to travel between these cities is with Nattakan Direct Bus Lines which has just been launched Feb 2013 . 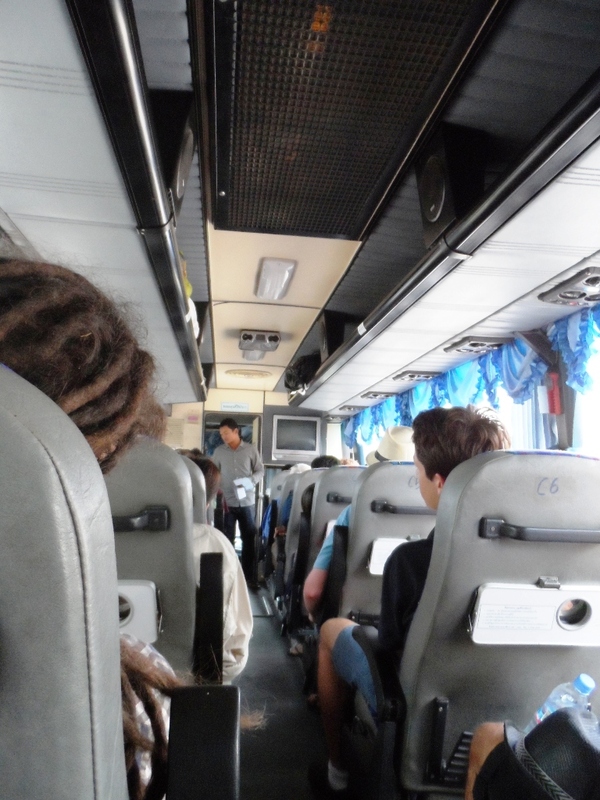 Be aware that some travel agencies in Siem Reap would recommend a different direct bus to Bangkok, when in fact you would still be transferring to another bus when you get to Thailand. Nattakan Bus Line is the only public bus recognized and allowed by government of both nations to take passengers directly between the two cities. 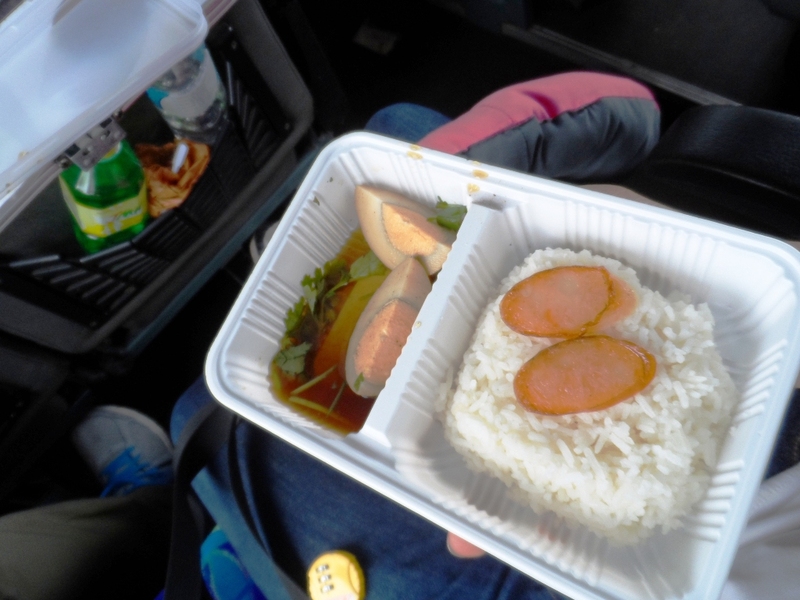 For convenience and to avoid touts and hassle , I took this Bus trip for 28 , USD , inclusive of AM Snack , Coffee , packed lunch and water. All passengers are given an ID for the trip. 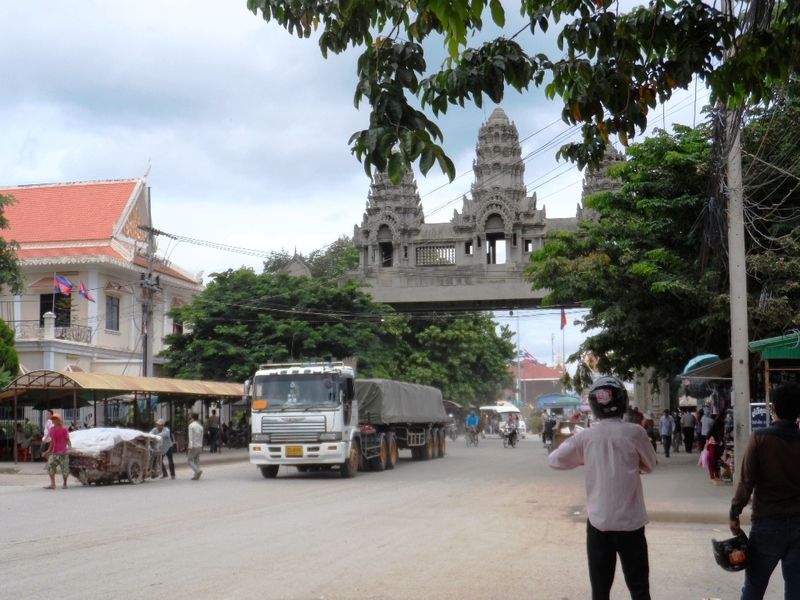 Cambodian Archway, with the immigration office at the right. ( Not really an office, more of like a counter where people fall in line) taking pictures are not allowed in any immigration offices. 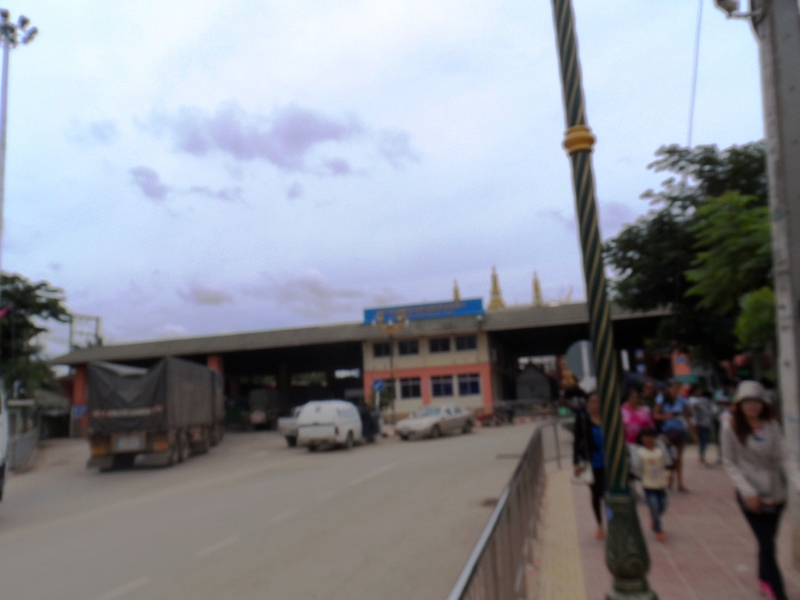 Thai Entrance at Aranyaprathet , with the Immigration office at the left. 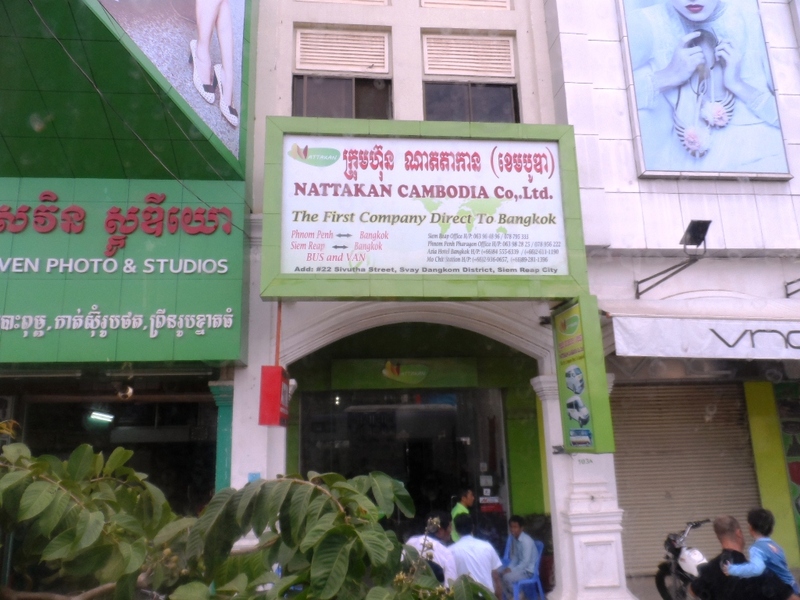 This is just around 150 meters walk from Cambodian Immigration. Bus full of Europeans. There were only 3 of us , Asians during the trip. Do note that there are No Visa fees for Filipinos and and other Aseans when crossing these borders , and Thailand is kind enough not to collect minimal entry fees, unlike when entering Cambodia and Laos. 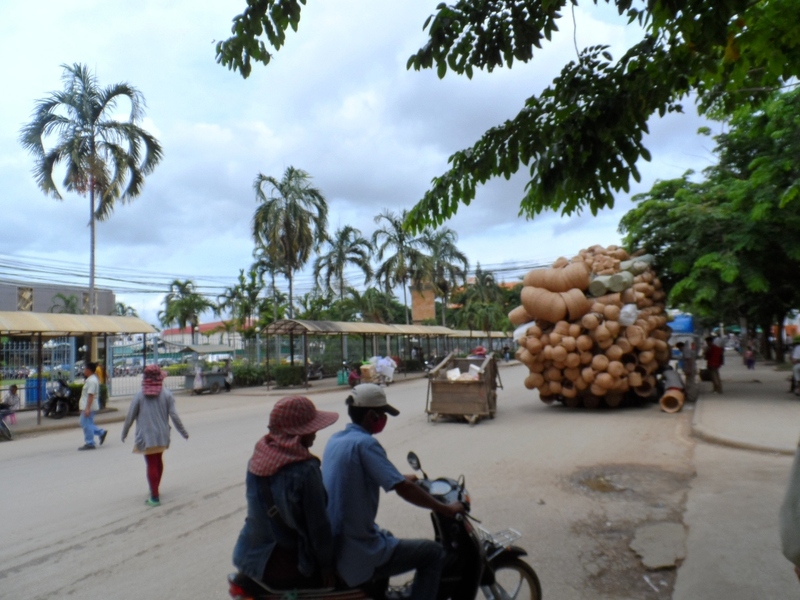 Thai Immigration is just around 150 meters walk from Cambodian Immigration, and you will notice large hotels and casinos at the Cambodian side. Gambling is illegal in Thailand. After clearing with Thai immigration at Aranyaprathet , the bus loads up all the registered passengers , then head directly to Bangkok . No more bus stops since the bus also has a comfort room . Travel time took around 8 hours , including immigration stop overs and an hour traffic we got when we entered Bangkok.